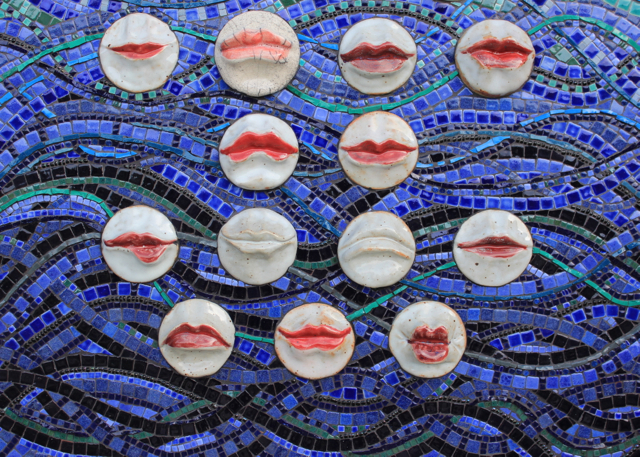 Made from hand sculpted ceramic lip tiles, ceramic tiles, smalti glass and glass beads. You really can read the lips if you try! There just may be a few more secrets hiding in this fun take on a secret language! Chosen for exhibition in the first all mosaic art show in Orlando, FL, "Piece by Piece: The Art of Mosaic" in 2015.